Ain't it always the way - I'd never been to Alphington before and then I went twice in one week! First to Paladarr Thai Issan and then to APTE. 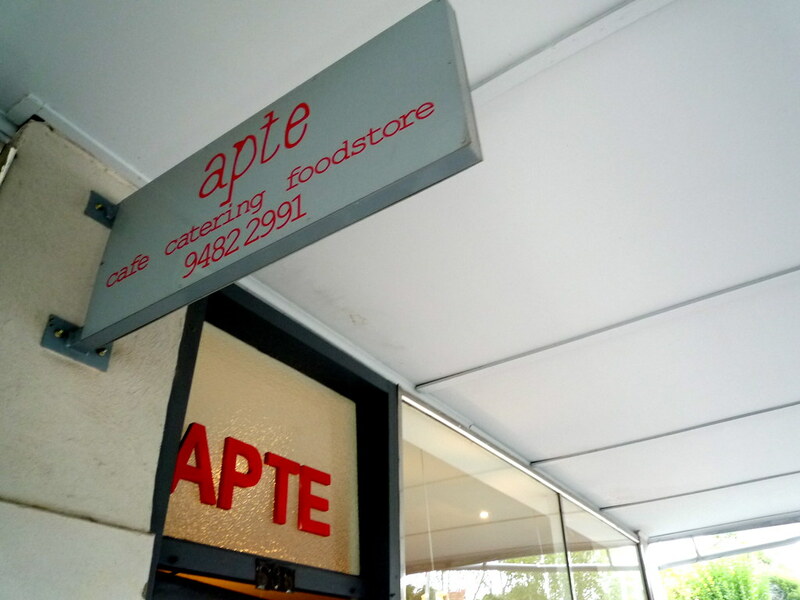 When we shared an office last year J always used to wax lyrical about his local, APTE (he pronounced it "apt-ee"), and insist that I ought to review it for Melbourne Gastronome. Then best-friend-K started raving about it too (only she pronounced it "apt"). I'm still not clear on how it's meant to be pronounced (does anyone know? ), but I do know that it's an acronym that stands for A Place To Eat, and that it's the sister cafe of Hawthorn's Liar Liar. I went one bustling Sunday morning a few weekends ago with b-f-K. Oh, but I should point out for the record that when I visited APTE I was suffering a monstrous, heinous, soul-destroying hangover... I'm amazed the photos are in focus. 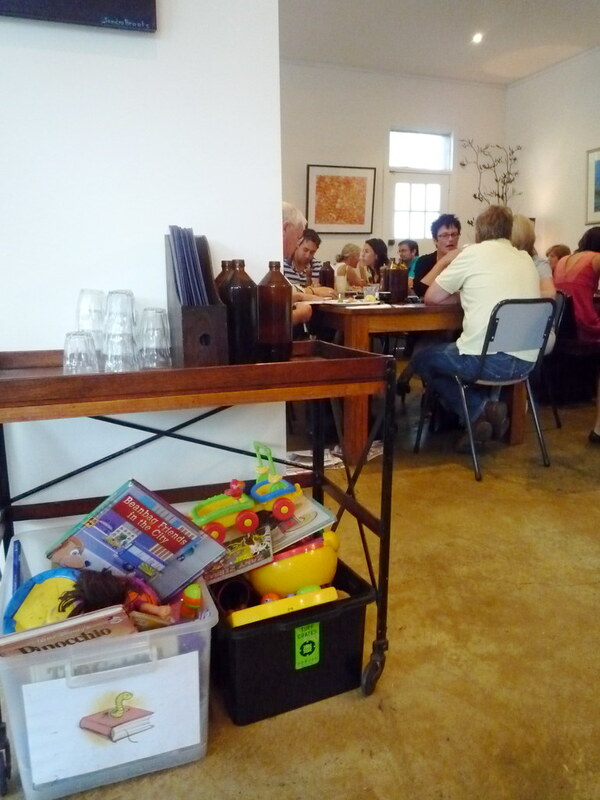 We arrived at about 11 and the place was packed, with several groups waiting for tables and a seemingly endless supply of waiters sprinting from one end of the cafe to the other. It was chaos, but it was cheerful chaos. Nonetheless, I took in the polished concrete floors, the babble of conversations, the shrieking of babies and the barrista banging various metal objects, and quickly told b-f-K that with my head in the state that it was, it'd have to be a table in the back courtyard or nothing. 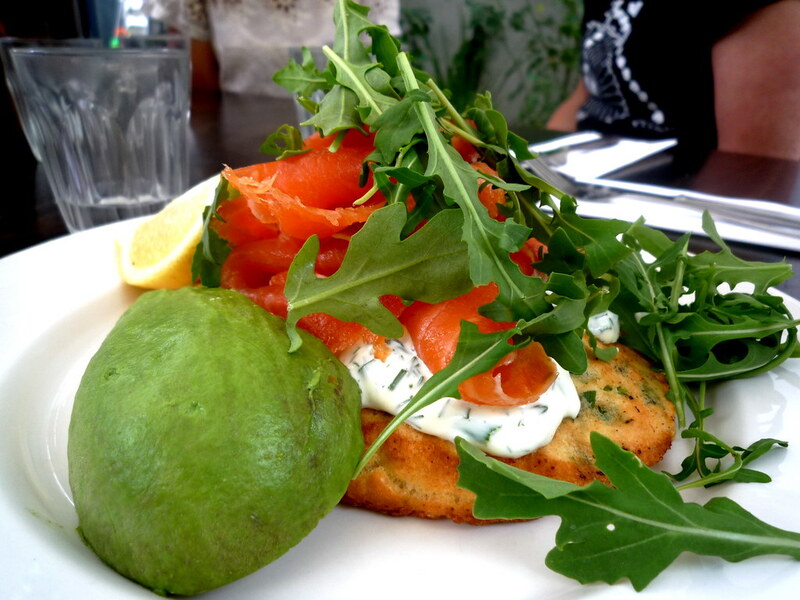 B-f-K ordered the smoked Tasmanian salmon with a pea, feta and corn fritter, avocado, rocket and a dill sour cream ($15.50). A very b-f-K sort of dish. I had a taste, it was bloody lovely - the additions of feta and pea made the corn fritter really interesting. 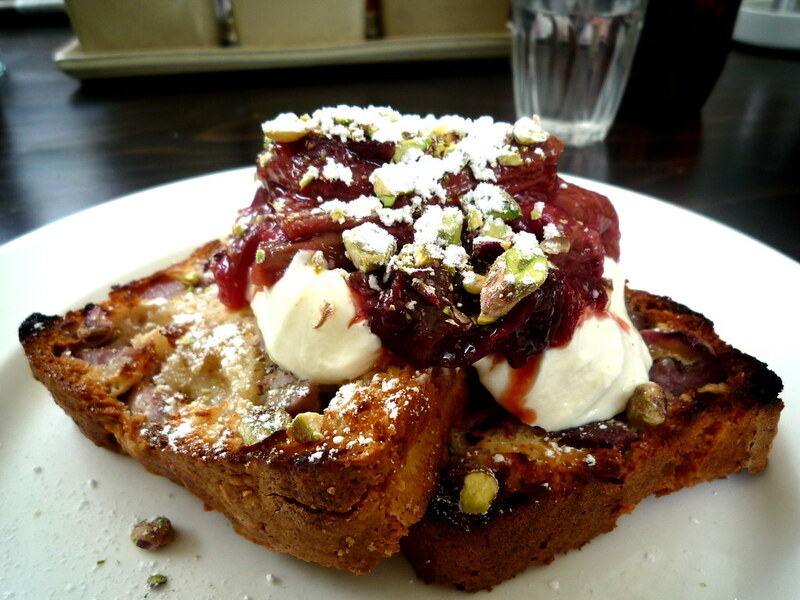 I ordered the toasted house made banana and coconut bread with honey labna, pistachios and roasted seasonal fruit ($13.50). Should have been a winner, right? After all, I adored a very very similar dish I had last year at Porgie & Mr Jones... Ah, but I wasn't hungover then. I'm afraid that although this looked and smelled amazing, in the state I was in this dish defeated me in about five minutes. I ate about a third of it, and felt ill. And I never thought I'd say this, but there IS such a thing as too much labna - too much, too rich. Too hungover, which is most unfair to APTE as I'm sure that this dish is in fact quite lovely in normal circumstances. Food blogger FAIL, I know. Maybe it's best if you just judge from the pictures for this one, eh? I don't have any kids, but if I did I'd be pretty happy to see these ample toyboxes at APTE. Bet the place is swarming with yummy mummies at about 10am on a weekday. I have driven past this place six times in the last two weeks and have been thinking that there is a reason why it has been surviving this whole time. As for food blogger fail, I am right there with you. Although, corn fritters...I would have both ordered and been defeated by them. Sweets always have a one up on me. Thats funny I was planning on having breakfast there tomorrow & plannnig on having the banana bread combo too. I probably still will as I have a huge sweet tooth & also because of said condition will not be hungover, hangovers def need a savoury fix for sure. Hi Ange. It was most uncharacteristic of me to have a sweet tooth that early in the morning - and I paid the price! If the opportunity comes up, I must go back and give APTE another chance. Did you end up having breakfast there? Glad you liked it! If you're in the area you should try their sister cafe Liar Liar in Glenferrie Rd Hawthorn, the menu is very very similar. 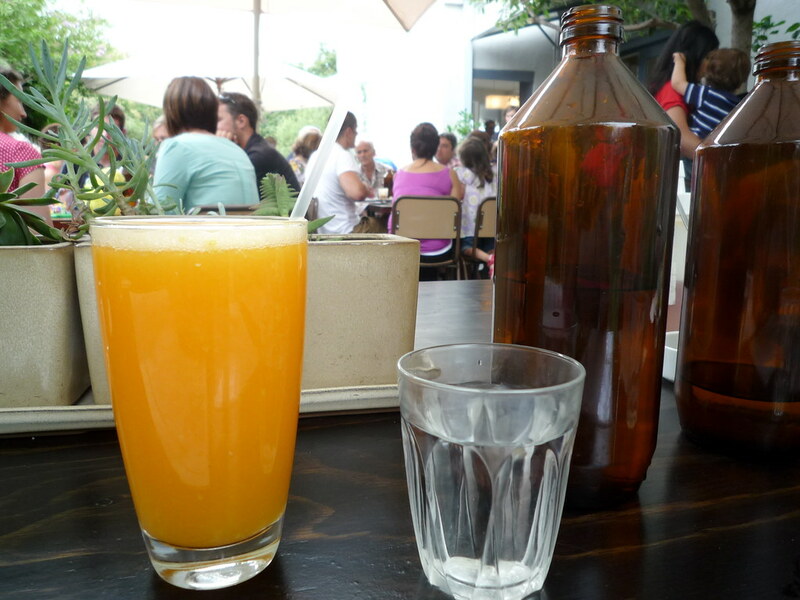 My friends and I have a regular brekky catch up at Apte and so I have tasted most of the menu more than once. I must admit, the first time I had the banana bread I had a similar experience (it was too soon after a terrible yoghurt-provoked food poisoning experience to be eating labna!) BUT I have had it a number of times since and really enjoyed it. Am also a big fan of the smoked salmon corn fritter and the veg big breakfast. I'm sad to hear that they've sold it - hopefully they won't lose their signature dishes.